Thanks for the report Grant. I'm beginning to think I should have made the effort, although I already had three concerts for this week, possibly four but two are on the same night so I will have to decide which to go to. I think I was put off by the struggle of getting into central London and risking being stranded when the trains to Leicester stop, and also the lack of a dog sitter so it wasn't on to stay the night somewhere, unless it was in my campervan (I did explore possible camp sites). It sounds as if it was a much better show than I had expected, as you say Grant I didn't expect Hayley would perform as many songs as that. Let's hope she does another show soon. Thanks for the report, Grant! I'm so glad you were there, too, and the others, as well. Thanks for yet another great report, Grant. I don't suppose photography was allowed? Weirdly, Hayley's retweet from yesterday disappeared from her timeline, but luckily the tweet & photo itself are still there, so they're still on the forum (previous page). Oh, hey, Grant, did that Homeward Bound song happen to be this one (having grown up hearing "oldies", I do get the other one running through my head everytime I read that title, but I prefer the one below)? Thanks for changing the privacy setting, John! I see she'll be twelve in February. I think I was put off by the struggle of getting into central London and risking being stranded when the trains to Leicester stop. I know what you mean. I did the Huawei concert in 2014 and decided to take the train from Coventry to Euston and then tube through to Waterloo. That worked fine going but coming back, by the time I left the Hall and got across to Euston the only trains home were very slow. I seem to recall leaving the south bank at around 10.20 and didn't get into Coventry station until 1.30. This year I decided to drive part way like I have for other central London venues. Get off the M1 at J4 and park in the commuter car park at the shopping centre next to Edgware Underground. Then it's straight through on the Northern Line to Waterloo. I left the south bank a bit later this year but was home 45 mins earlier even with the proliferation of 50mph roadwork zones and overnight lane closures on the M1. Worth considering for central London. I seud the same method for a recent show at Wilton's Music Hall and it worked out fine. Very grateful to Hayley Westenra for inviting me to the Winter Concert she did with Welsh bass-baritone Bryn Trefel at the Royal Festival Hall a couple of nights ago. Of particular interest was the fact that some of her own compositions were on the set list alongside seasonal favourites like “Amazing Grace”. It takes a lot of courage, conviction and confidence to showcase material in this way – which bodes very well for the release of her new album in the new year. All very exciting because I got a very strong sense of a new direction in her work. Lots to look forward to. All the best, Hayley! Now, we don't know if this is a guess or knowledge, but I'd wager if he's a close enough friend to be invited, not just be a patron, he may very well know something we don't. I would doubt it's actually at New Year's... and would you consider the end of next year to be the new year? I wouldn't. I mean, by a year from now, it's almost the next new year! I believe the other girl is Alma's sister. 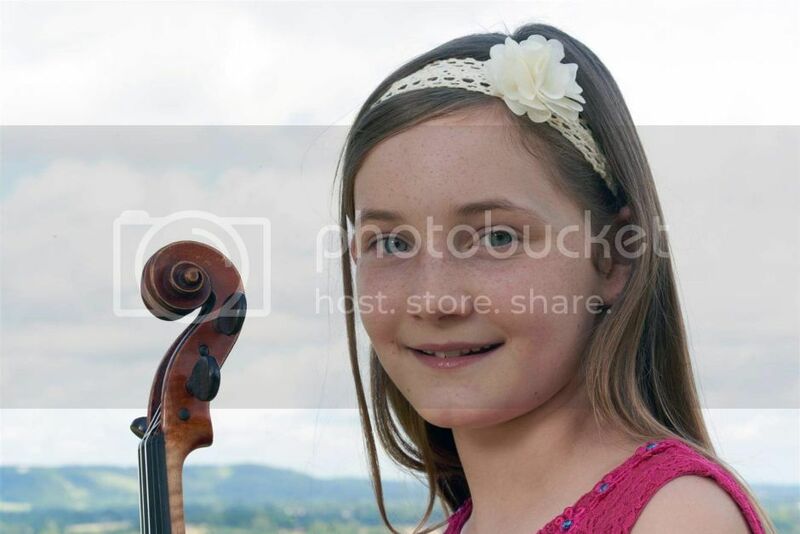 Alma Deutscher was featured in the news on the radio last night. Her opera Cinderella has just had its world premiere performance in Vienna. Astonishing, and only 11 years old! The BBC radio interview is included as well.